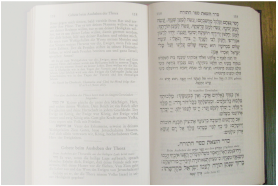 In Ahl HaNissim we recite LeHashkicham Torasecha U’LeHa’aviram MeiChukei Retzonecha--isn’t this redundant? The Gerrer Rebbe explains that only a person whose mind is devoid of wisdom will engage in sin. Therefore, the Greeks wanted us to forget the Torah--which would cause us to do Aveiros--U’LeHa’aviram MeiChukei Retzonecha. It is for this reason that we make extra efforts in Torah study on Chanukah--to fill our hearts with wisdom--with the result that we will stay free of sin!